[New for 2014, Returning for 2015] A few days ago, Marvo asked if Nick and I had spied the latest limited edition from Breyers. Well, it's a good thing he did ask, because otherwise I totally would have walked by it when I went shopping at Walmart the next day. Just like the summer berry cobbler that came out in February, this one came out a wee bit earlier then expected. Oh boy, frozen dairy dessert! Let's dig down a bit more. That's better. Look at all the little cookie pieces. Here's a close up of the bits. They're an odd shape, but more or less effective. They do have some crunch to them despite looking like brownie bits. There are tons and tons of these, you seem to get a few in every bite. 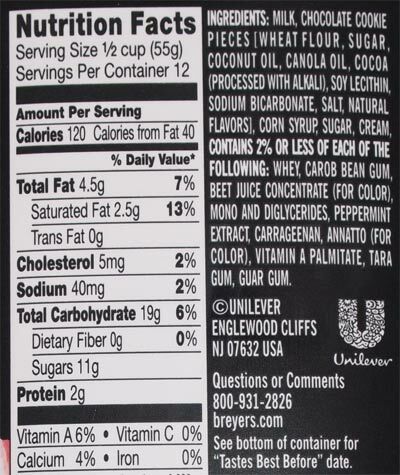 They don't quite have that larger flavor and crunch effect you would get from a cookie wafer chunk, but their numbers do attempt to make up for that. Anyway, so is it good? Well, it's not bad. It's a super soft, airy frozen dairy dessert, but the concept itself isn't a bad idea. Put it this way, I won't fault you for liking it. It's like candy cane flavored whip cream. It won't fill you up, or cool you down like a regular ice cream, but it gets the job done. 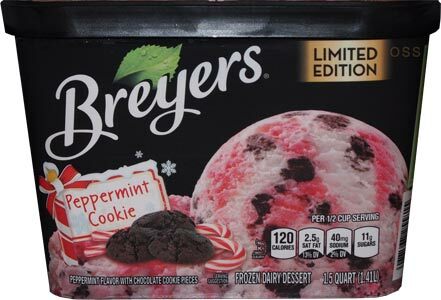 If you've had breyers mint oreo blast, this is similar, though the peppermint comes across a bit more distinctly than the mint does in the other flavor. Ha! I'm kind of getting a peppermint sugar cookie aftertaste. That's cool. 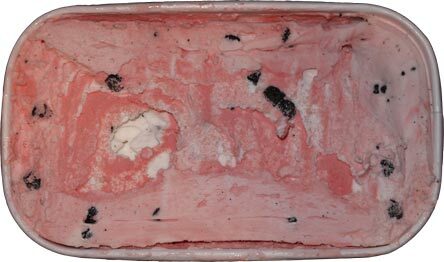 On Second Scoop: I hate to say this about a frozen dairy dessert, but I think I like this one. There's just something cool and refreshing about it. It's not perfect, but there are just so many cookie bits, and it's been awhile since I had a peppermint flavor. Give it a shot if you don't mind a super light texture! Ack!!!! Too early!!! Can't they even wait for the pumpkin phase to run it's course? HAHAHAHAA, agreed! I mean, there are two weeks left of summer when I bought this! I just finished a tub, and I like the it a lot. 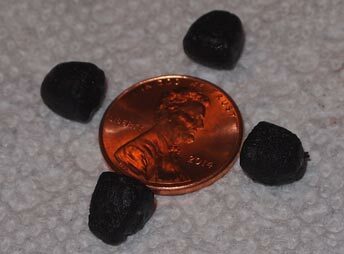 I really like the brownie pieces as they do not stick to my molars like mini chocolate chips. I think this is a home run and could eat it year around. 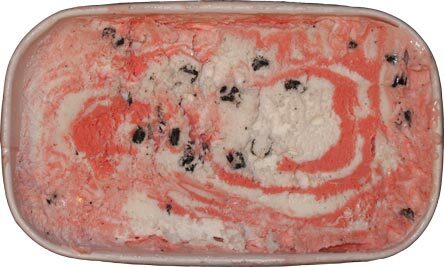 Being frozen dairy dessert, I do not need to be Mr. T or need a steel spoon to scoop what I want. @Deb: It's an end of year flavor, so what are you seeing now is leftover stock they havent sold off yet. I suspect a fruity flavor should be taking it's place in the very near future.